THawk1.exe - THPS1 maps + Freeway + MHPB fatory instead of Warehouse. 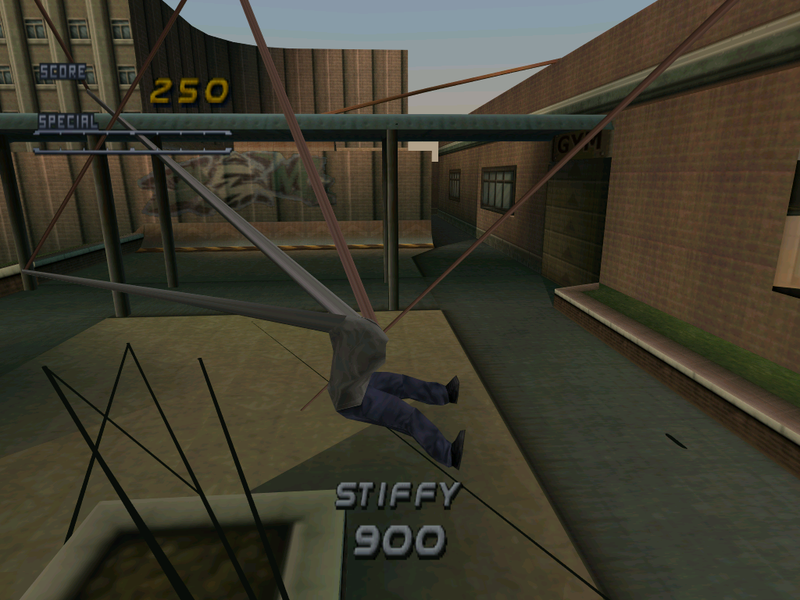 - some tricks may cause broken animations in THPS1 levels. - Skater Island only works in multiplayer horse mode. - THPS4 levels have no teleport working. everyone who downloaded the mod - 110 downloads for such an old game is not bad at all. Last edited by Demo on Sat Aug 19, 2017 4:58 pm, edited 8 times in total. Is it normal to have a messed up Stiffy in School? woah, i found that roastbeef causes same here. but not stiffy. No. I am talking about how to fixing crashing error for thps1 and thps3 levels for thps2 pc. Also put thps4 levels. Don't make it crash. then i hope you understand that there was a reason why i released it unfixed. here's the tool to unpack ps1 wads. if you are lucky, you will find proper file names and it will work. not every th3 map is working though. i spent enough of my time, finding matching files. still didnt finf skater island which works in 2 player mode now, but not in single player. to make it work you have to find proper trg, psx, _l.psx, _o.psx. to make it work in 2player mode you have to find 2l.psx and 2o.psx files. you may start with excluding all of the skaters by replacing let's say hawk2.psx with another model. skater models are usually around 45-55kb. if i'd had an universal thps converter, i'd import all maps in levelmod. write it for me. anyone? Demo wrote: if i'd had an universal thps converter, i'd import all maps in levelmod. write it for me. anyone? Last edited by Demo on Sat Aug 19, 2017 4:42 pm, edited 1 time in total.